Here are the questions, answers, and explanations from our vs 3-bet quiz. Question #1: You have no reads on your opponent. This hand is not strong enough to call out of position versus a 3-bet (assuming you’re up against a somewhat well-balanced 3-betting range). 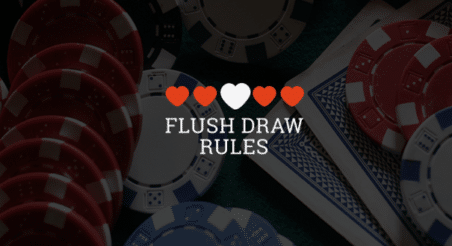 However, it’s a great hand to use as a 4-bet bluff because it blocks your opponent’s continuing range (your ace blocks AA, AK, AQ) and it has good equity and playability when called (it can hit flush draws, straight draws, etc.). Question #2: You have no reads on your opponent. QJs is a premium preflop raising hand. 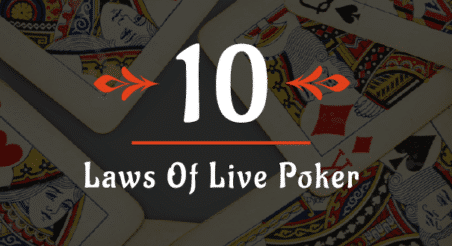 In this instance, however, it is a marginal fold out of position because your opponent’s 3-bet size is quite large and you are playing in the high rake environment that is 100NL online. 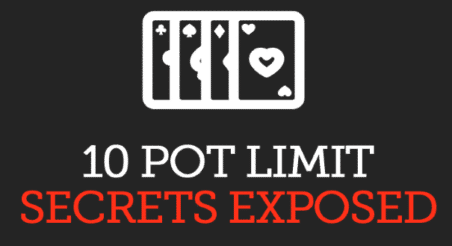 Both of these factors decimate your pot odds. So, as much as it hurts to fold a hand this pretty, you should probably let it go. Question #3: You have no reads on your opponent. Q♣ T♣ has a lot of equity and playability versus a small blind 3-bet range. This combined with your advantage of being in position makes this hand a profitable call. Question #4: You have no reads on your opponent. The button 3-bet size is quite big, but our hand has just enough equity and playability (due to being able to flop straight draws, gutshots and flush draws) to make a marginally profitable call. Question #5: Your opponent is a maniac who has 3-bet 5 of his last 10 opportunities. In theory, this hand is a clear fold, or perhaps a 4-bet bluff at some frequency. But against a maniac with an unbalanced 3-betting range it becomes a very profitable call because it has great playability, nut potential, and a lot of equity against such a wide range. Further, even if you are out of position for the rest of the hand, your crazy opponent will likely make a lot of betting mistakes postflop. Question #6: Your opponent is an older man whom you haven’t seen 3-bet in the last 4 hours of playing. Though theoretically strong enough to call with, this hand becomes a tough-but-correct-fold preflop when facing a 3-bet from a very tight and strong range. This is mainly due to its reverse implied odds against the older man's AA/KK/QQ/AK-heavy range. 4-betting is also out of the question against such a tight range. Question #7: Your opponent's 3-bet frequency is quite low (5% BU vs. MP) over the last 2,000 hands. Although typically a good hand to 4-bet, A3s becomes a losing 4-bet when faced with such a tight/strong 3-betting range. Since the hand is too weak to call due to reverse implied odds, and since Hero is out of position, the only remaining option is to fold. Question #8: Your opponent is an aggressive regular with a high 3-bet frequency (18% SB vs. BU) and a high fold to 4-bet frequency (65%). Question #9: Your opponent is an aggressive regular with an average 3-bet frequency (15% SB vs BU) and a low fold to 4-bet frequency (40%). K8s is typically a great hand with which to 4-bet bluff versus the small blind, but that would be a losing play against this unbalanced opponent who calls too many 4-bets. Once again, the correct fold to 4-bet frequency is somewhere around 55% vs. the population.